Posted April 22, 2015 by Tobias Forrest & filed under Episodes. After last week’s uneven opener, we’re back with Arya Stark (Maisie Williams) as she arrives in Braavos. Elsewhere, Cersei Lannister (Lena Headey) continues to cling on to power, Brienne (Gwendoline Christie) and Podrick (Daniel Portman) experience another setback and Stannis Baratheon (Stephen Dillane) is still no closer to taking back the North from the Boltons. Game of Thrones has always boasted an impressive cast and Maisie Williams’ portrayal of the perpetually unlucky Arya Stark has established her as one of the breakout stars of the show. Since Season 1 we have watched Arya grow from a little girl into a hardened young warrior and Maisie imbues her role with finesse. Jaqen H’ghar (Tom Wlaschiha), last seen in Season 2, returns this week to induct Arya into the House of Black and White and informs her that she must become ‘no-one.’ After three seasons running through the wilderness of Westeros, perhaps now Arya can find a new home and identity with Jaqen’s aid. With the young Stark’s fortunes so far we’ll be surprised if she finds solace any time soon. 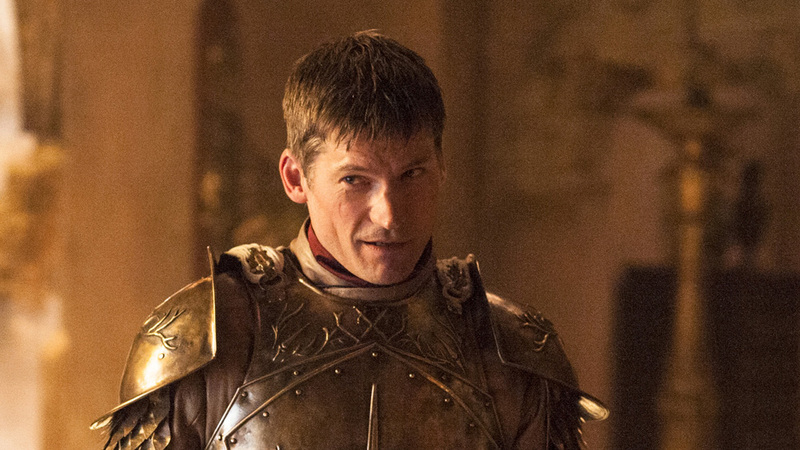 This brief scene is a delightful character piece which showcases the growing differences between the Lannister twins; where Jaime is determined to regain his honour, Cersei is bitter and distrustful. Furthermore this leads to Jaime asking Bronn (Jerome Flynn) to accompany him on his quest which looks set to provide another excellent double-act for the show. 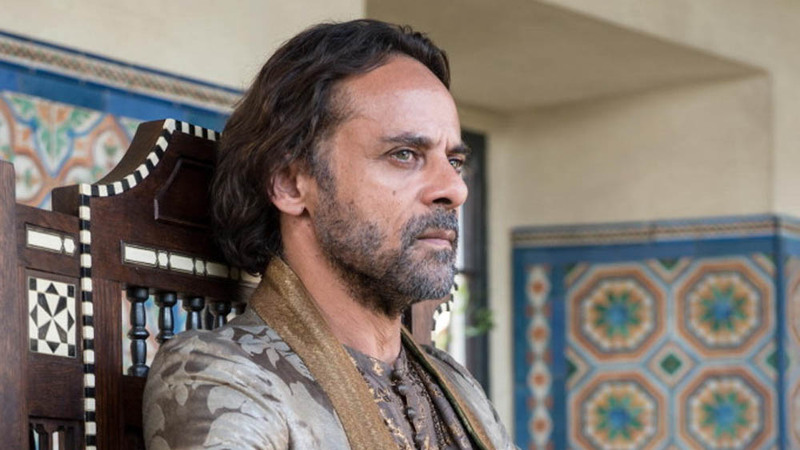 Another returning character in this episode is Ellaria Sand (Indira Varma) who seeks vengeance for Prince Oberyn’s death at the hands of The Mountain, however her desire to harm Myrcella is denied by Prince Doran (Alexander Siddig). Although Doran wishes for peace, it is clear that Ellaria has no intention of letting Oberyn’s death go unpunished and looks set to provide an intriguing power struggle in the Dornish capital. Peter Dinklage is evidently having enormous fun as he portrays Tyrion’s drunken self-loathing with relish and, once again, he and Varys (Conleth Hill) provide one of the standout moments of the episode. Hopefully there’ll be more of this unlikely pairing to enjoy throughout this season; however, the show has long since taught us not to get complacent. ‘The House of Black and White’ continues the shows tendency to drift away from its source material and, in some cases, the episode discards Martin’s writing entirely. 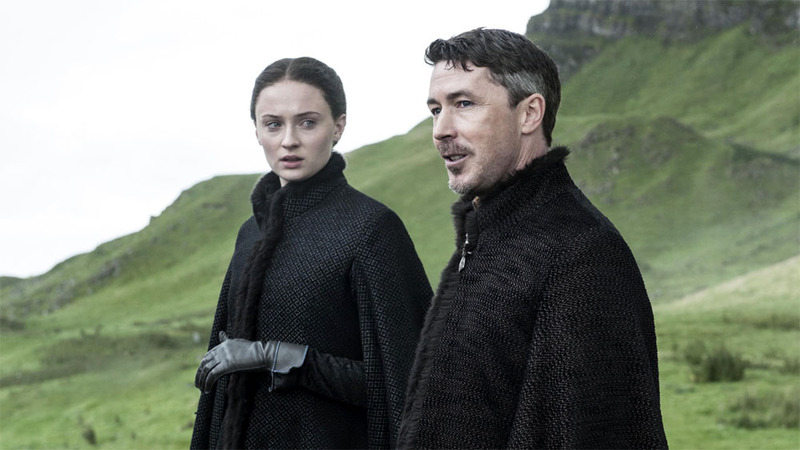 Those familiar with A Song of Ice and Fire will undoubtedly have noticed the significant changes to Sansa (Sophie Turner) and Littlefinger’s (Aidan Gillen) character arcs and, whilst purists may find it frustrating, it is a welcome change that goes some way towards concentrating the sprawling narrative. As with ‘The Wars To Come’, this episode suffers from slightly meandering plots and, as a result, Daenerys Targaryen’s (Emilia Clarke) plight in Meereen continues to fail to grip. There is, however, a sense that the narrative will shortly begin to pick up pace as Daenerys’ rule looks flakier than ever with the freed slaves turning on their Mhysa following Mossador’s (Reece Noi) public execution. We can only hope that Daenerys manages to win back the trust of her dragons sooner rather than later and begins her assault on the Iron Throne. Whilst Game of Thrones is overflowing with many twists and turns, the show is fortunate in its smorgasbord of richly defined characters. And who doesn’t enjoy Cersei’s look of disappointment when the wrong dwarf’s head is laid before her? ‘The House of Black and White’ a well-written episode which, in successfully moving the narratives forward, provides an intriguing set up for future episodes. Aired at 9pm on Monday 20 April 2015 on Sky Atlantic.